Simple color schema for different type of data such as allocated, deleted etc. Multiple view for database file such as Hex, Properties and deleted view. Preview of multimedia components(including images or videos) within the blob data. Support Sqlite database of various OS such as android, Ios, linux etc and browsers such as chrome, mozilla etc. 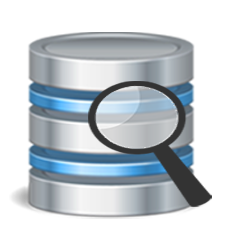 Sqlite Forensics Explorer allows entering multiple custodians and multiple Sqlite Database in a Single Case. This option allows simplifying Forensics of Sqlite by manging multiple database. 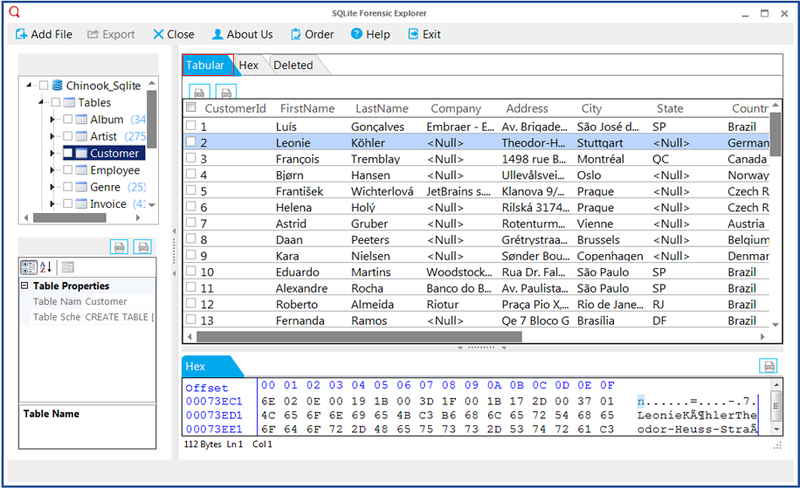 Hex analysis via Sqlite database forensic tool provides major information revealing manipulations done on the files. This is the common method adopted by many forensic investigators. Forensics tool support simple color schema for various type of data such as secured deleted data, unallocated space, deleted data, & normal data making data easily differentiable. Sqlite Database Forensics tool allows data indexing for the large amount of data without file size limitation imposed on the tool so evidence carving is an easy task and user can forensicate any file size using this tool. 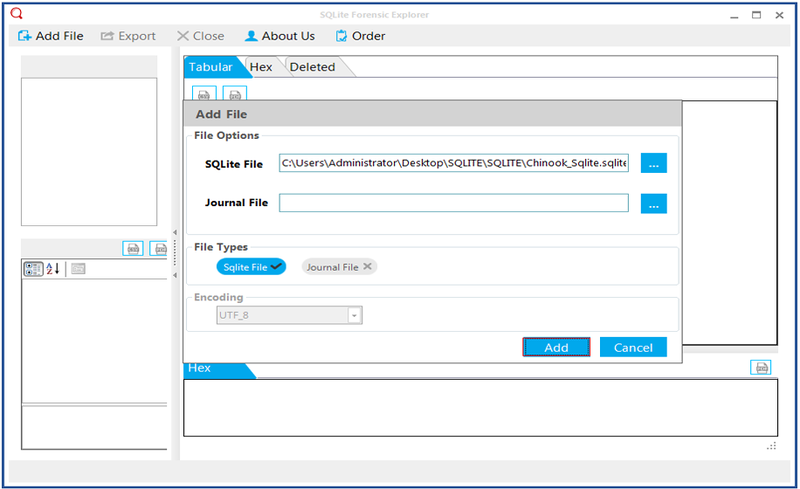 The Sqlite forensic explorer provides SQL editor option, By which user can add single query or multiple queries at a time to execute search operation on Sqlite database and save these queries for more investigation. 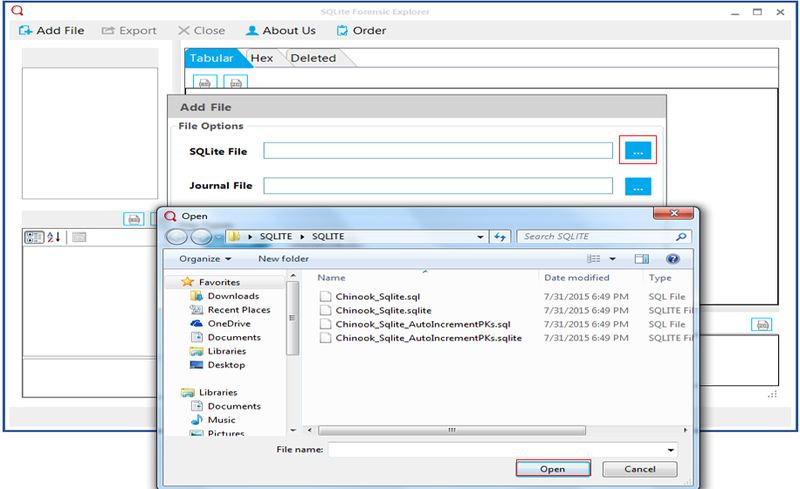 Tool allows to browse scan and export Sqlite database onto PDF, CSV or HTML formats. Database exported into various available file formats can be used later, as PDF is the standardized format used among forensics case. Support Sqlite3 and all above version and also allow the browsing of the database file.The Sqlite forensics tool support database files of various OS and browsers such as firefox, android, linux, chrome, mac, windows etc. Allows the preview of Sqlite database components such as tables, bytecode, structure etc along with multimedia components (including images or videos and other multimedia) within the blob data. 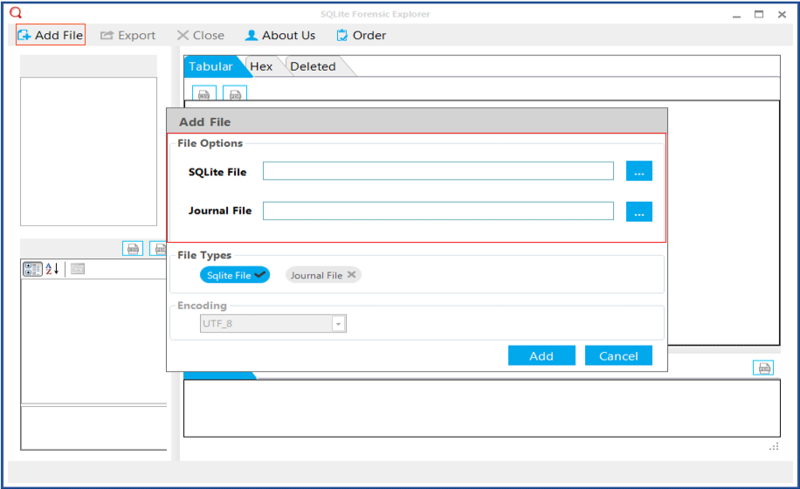 Why Use Sqlite Forensics Explorer ? Putting forward simply, the Sqlite Database Forensics provides you access to more data in the Sqlite which can be crucial for the investigation. Sqlite are increasingly in demand and being used by many OS and browsers platforms including android, Ios , chrome etc. Ever increasing demand leads to the involvement of Sqlite Database as a source of artifacts and evidence in investigation. The Forensics Tool simplifies the investigation and can be rich source of evidence carving. Multiple custodian management features allows the case management efficiently with multiple custodians in a single case and also the Sqlite forensic tool tenders the feature to support multiple database entry in a single case which accomplish the Sqlite forensic task easily.Data Indexing feature of Sqlite Forensics Explorer is the unique one which make forensics a easy task in large database.The Sqlite forensics tool can actively be used for android, linux or chrome forensics by presenting the cookie data or any other data in managed way.So using Sqlite Forensic Explorer for Sqlite Database investigation is clever decision. 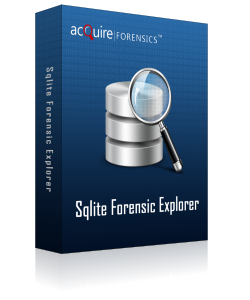 Core features Of Sqlite Forensic Explorer. Manage Multiple Custodian and database entry in a single case which can help in preparing a good case report. Support hex | deleted| Properties View of SQlite Database. How to perform Sqlite Database Forensics of various OS ? At present Sqlite database is popularly used frontend database manager in most of the embedded devices using various operating system and browsers. The Sqlite Forensics tool can be used to perform forensics of the Sqlite database supported by various OS such as Linux, Android, Mac and Windows. How to perform Forensics of Sqlite database of various browsers? Sqlite is being supported by many browsers such as chrome and Mozilla.These browsers use Web SQL Database technology. The internally managed database of browsers can be used as rich source of artifacts at the times of forensics, as this database contains information like cookies, contacts and bookmarks. Is Old version file, Sqlite3 files and database Engine Files are supported in the forensics tool? Yes the Sqlite forensics tool allows to perform forensics in all older versions Database, OS ,Browsers datbase and Database Engine file of Sqlite. How the tool handle the large database file ? Their is a option supported in the Forensics Tool know as Data indexing which will help to index data in large file making forensics easy. Is the forensics tool capable to handle multiple database in single case.? Yes the Sqlite forensics tool support multiple database entry in a single case and also allow to add multiple custodian entry in a sigle case. Is tool support corrupt database recovering ? Yes the user can recover and view the corrupt database by using the scanning utility .The utility will repair the corrupt database and will recover the database for forensics. Is the software compatible with Windows and OS versions? Yes, tool supports 8.1 and all the below versions of Windows and all the OS versions file also. Being a forensic expert I have analyzed and used this tool, must say the Sqlite forensics tool work efficiently and made evidence carving a easy task for me.The case report prepared, using this tool has each and every minute details and evidence entry which can be used for further investigation. Sqlite forensic Tool is spectacular & amazing tool for forensics. Features supported by the forensic tool has simplifed the forensics of Sqlite by giving a clear hex & properties view of bytecode/program & other components such as table etc of database files & also data indexing for large database has simplified the investigation.